THE HSE IS warning smokers that one out of every two will die of a tobacco-related disease. The executive says that the figure is not a new one, but that only seven per cent of Irish people are aware of it. 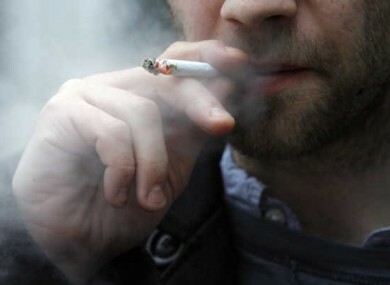 Eighty per cent of Ireland’s smokers says they want to quit, with 40 per cent attempting to kick the habit every year. One million people in this country light up regularly, and each year 5,500 people die from related illnesses. The HSE estimates that between €1 and €2 billion euro is spent treating diseases caused by smoking every year, with each hospital visit costing around €7,700. Dr. Fenton Howell, HSE Director of Public Health says a new campaign being launched today is aimed as making “people realise the effect smoking has on their health, and that of their loved ones, and give them encouragement and help to quit”. Howell says that while smokers know that cigarettes are bad for them, they procrastinate about attempting to give up, and that they set goals in the future to quit. The HSE has set up a new website which features aids to quit smoking, while a national advertising campaign is also being rolled out. The campaign will focus on how a person’s smoking can affect the lives of those around them. Email “HSE warns that half of all smokers will die for their habit”. Feedback on “HSE warns that half of all smokers will die for their habit”.